Drivers in Rapid City who want to off-road their SUV to the best hiking trails around Spearfish, may be interested in lifting their Jeep. 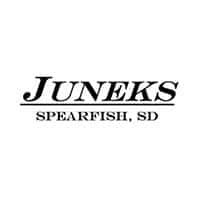 Check out your lift options here with the lifting experts at Juneks CJDR in Spearfish, SD. If you’re interested in lifting your Jeep, you have a lot of different options available to you among body-on-frame models like the Jeep Wrangler or Jeep Gladiator. You can decide upon based on your budget and the reason you want a lift. While some of these lifts can be done at home, it’s generally recommended to take them to a professional service center for a lift. Leveling Kits – This kind of lift is one of the easier and more affordable options. Leveling kits lift the front end of the vehicle. Leveling kits don’t require many replacement parts but does call for disassembly of factory suspension components. The big benefit here is an imposing look on Sturgis roads. Body Lift Kits – Using spacers, a body lift kit allows you to increase the body and frame height of your Jeep, allowing you to put bigger tires on. This fit requires some cutting, welding, and drilling—so make sure you know what you’re doing. Suspension Lift Kits – The most serious kind of lift but also the most difficult to install, a suspension lift gives you a significantly higher ground clearance but involves a lot of work with the suspension. While vehicle lifts are usually reserved for body-on-frame platforms, it’s actually possible to lift a unibody Jeep like the Jeep Cherokee or Jeep Compass—but it requires a bit of DIY prowess and inventiveness. In fact, recent Jeep tinkerers have taken the Jeep Cherokee to the next level with a unique body lift of 1.25 inches to fit larger tires on. They did this by dropping the front knuckle and adding a couple of spacers. The result? An extra two inches of ground clearance! Check Out All the Off-Road Ready Jeeps for Sale Near Sturgis! Check out all the new Jeep Cherokee trims near Sturgis right now at Juneks CJDR. Or, if you’re on the hunt, compare the Jeep Cherokee to the Jeep Compass or the Jeep Cherokee to the Ford Escape at our dealership. Our family-owned dealership is located in the heart of Spearfish, so contact us anytime!